...... they have learned not to swallow the balls! 3D Chinese Checkers Unlimited game is beautifully designed in 3D, with precious textures of fine wood and marble for the best comfort of playing and learning. 3D Chinese Checkers Unlimited offers many sound and graphic options to create a pleasant gaming atmosphere. Beginners will like the intuitive interface, with an online Help menu always accessible at a touch of the mouse, the capacity of setting the level of the adversary while playing against the computer. You can rollback the ongoing game or save a game to reload it later for replay. To play this game, you will need Windows 9x on a Pentium? at 400Mhz, or an equivalent, equipped with a 3D accelerated video card compatible DirectX 8 or 9 and 8 Mo of video memory. 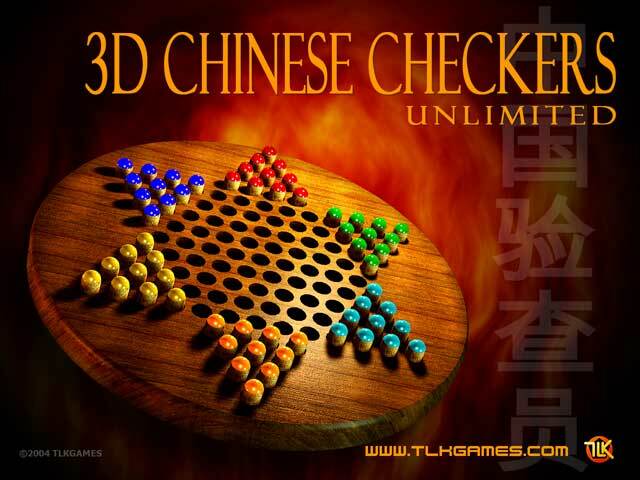 Qweas is providing links to 3D Chinese Checkers Unlimited 1.0 as a courtesy, and makes no representations regarding 3D Chinese Checkers Unlimited or any other applications or any information related thereto. Any questions, complaints or claims regarding this application 3D Chinese Checkers Unlimited 1.0 must be directed to the appropriate software vendor. You may click the publisher link of 3D Chinese Checkers Unlimited on the top of this page to get more details about the vendor.